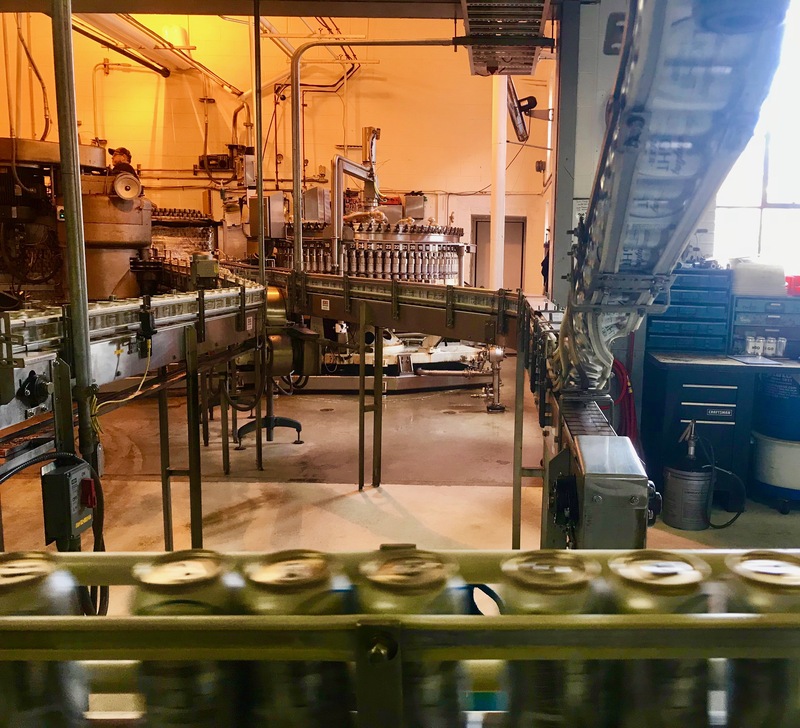 A quick video of the canning run at Yuengling. 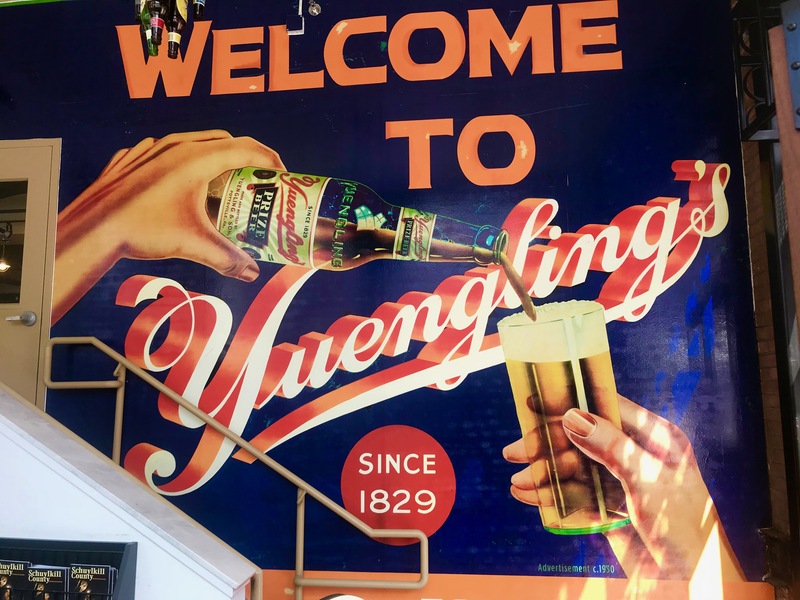 Yuengling Brewery is the oldest brewery in the U.S., having started operation in 1829. We visited the Pennsylvanian brewery prior to hockey in Allentown. Two of Yuengling’s beers were introduced in 1829, and are still produced today: Lord Chesterfield Ale, & the Porter. 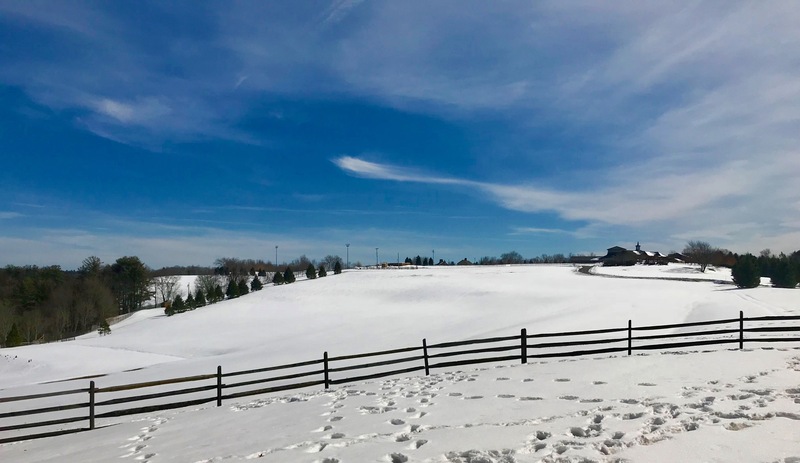 The location for the brewery was perfect for a couple of reasons: The brewers originally received their water for the brewing process from a natural spring that came out of the hill behind the main brew house. The second was that the hills provided the perfect location for caves to be dug into the hillside. 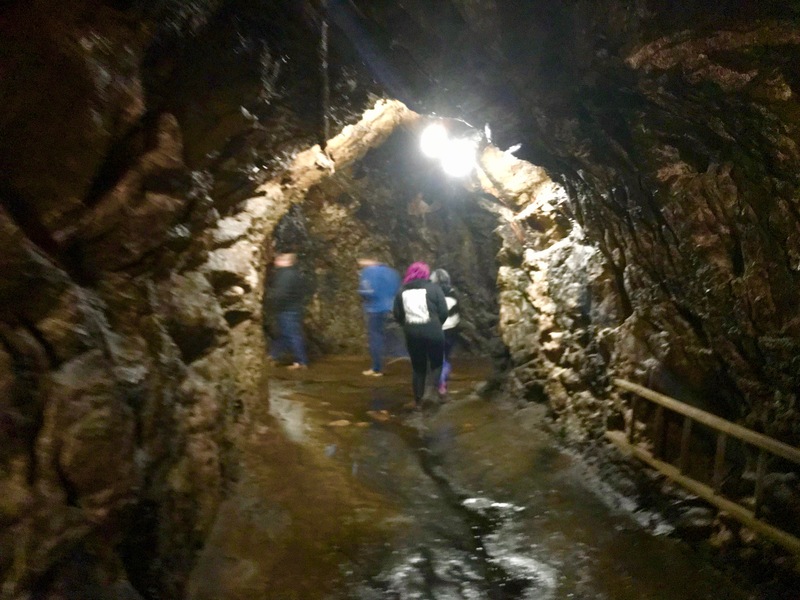 The caves were used for the cool storage of barrels & barrels of freshly brewed beer. 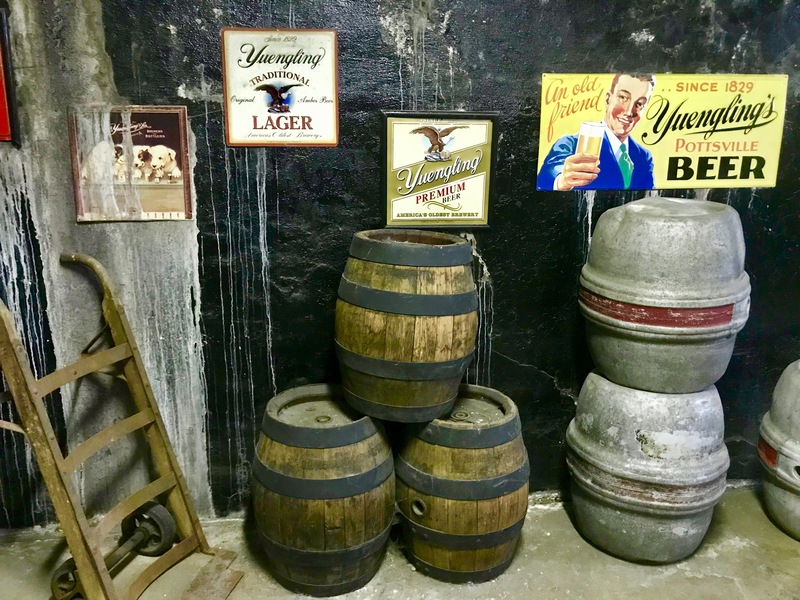 Prohibition brought many inevitable changes to Yuengling, including the production of near beer, and the still manufactured Yuengling Ice Cream. 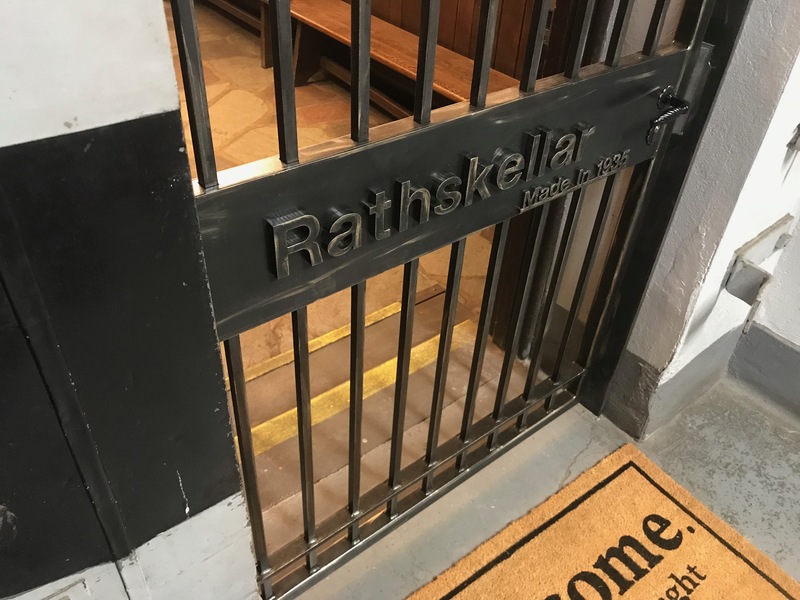 The brewery’s Rathskellar was built in 1936. 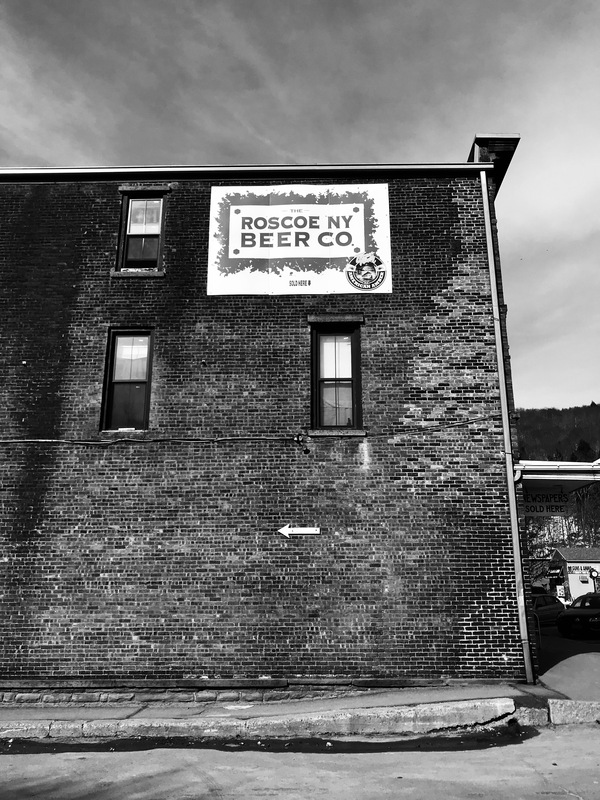 The original tasting room is still there behind the gate. The mural in the photo was painted by the resident artist. The painter, in a moment of early self portrait, painted himself into the mural. He is located behind the pipe. I’ve never been a big selfie guy. The stained glass was installed very early on. The windows from above were letting too much light through, and the beams were blinding the workers when they bounced off the original copper boilers. The stained glass was added to diffuse the sunlight. The work shop! 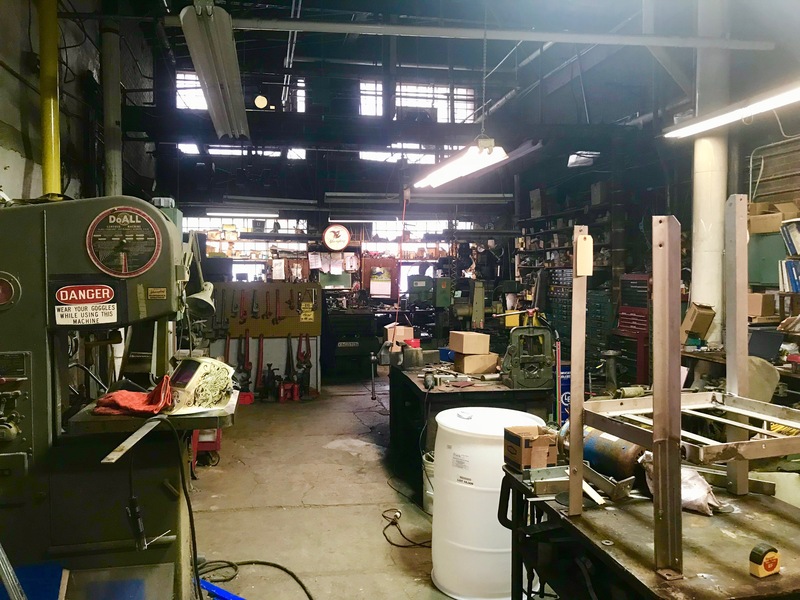 No tour is complete, without a walk through the work shop area. I could have spent much more time there, but the beer tasting was calling. We were told that bottling beer only happens one day a week at this brewery. Most beer goes out in cans from the Pottsville brewery. 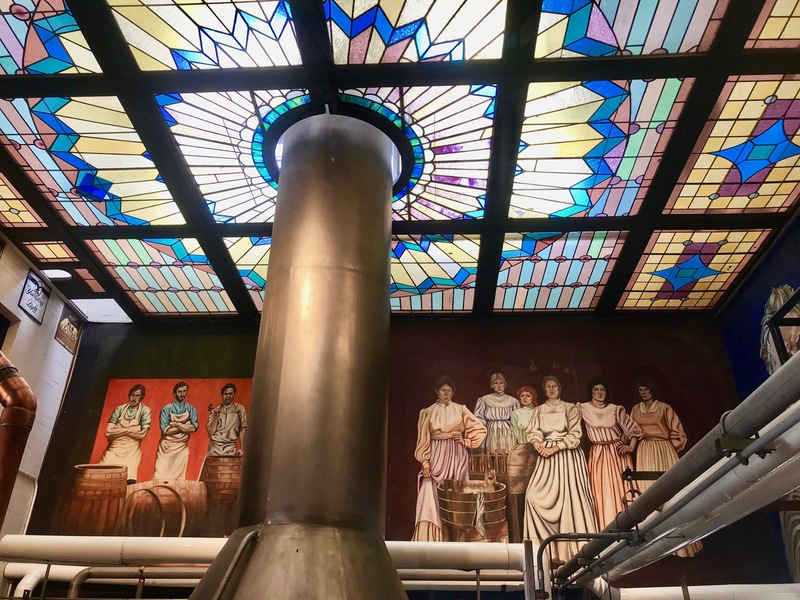 A great tour of the iconic eastern brewery. 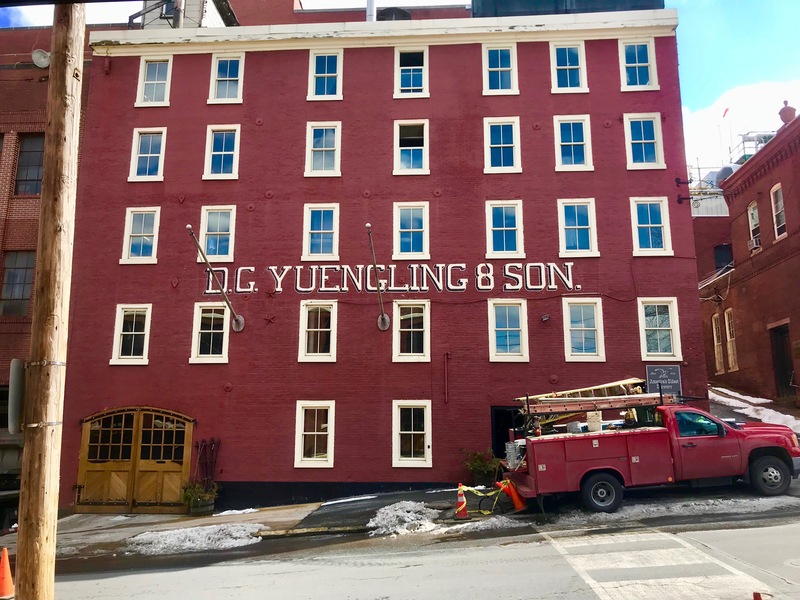 Yuengling, is still the king of beers, in this neck of the woods. 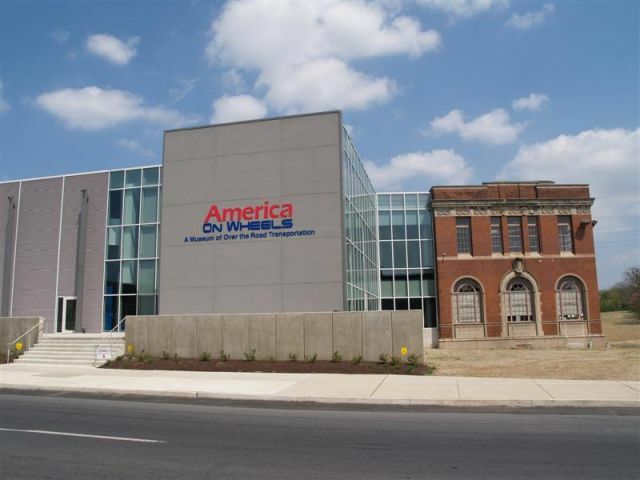 We were in town for hockey, but that never stopped us from checking out a new museum. 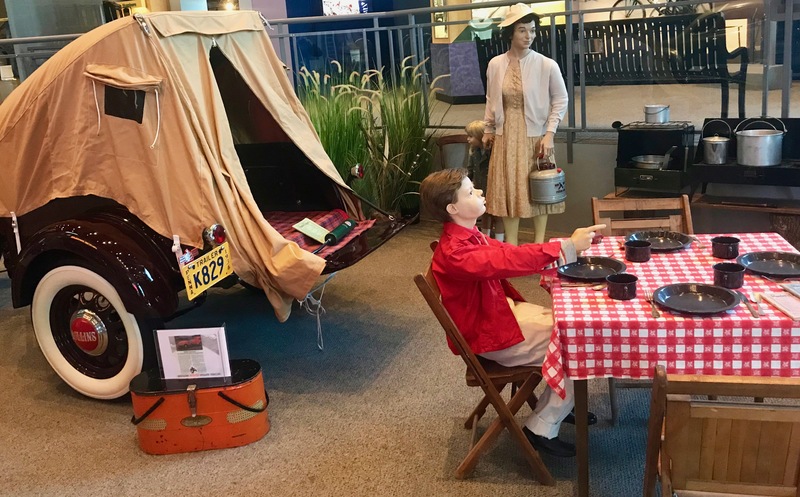 “America on Wheels” is not a huge collection, but the $10 admission is well worth it, and the museum is a good way to kill a couple of hours before puck drop. 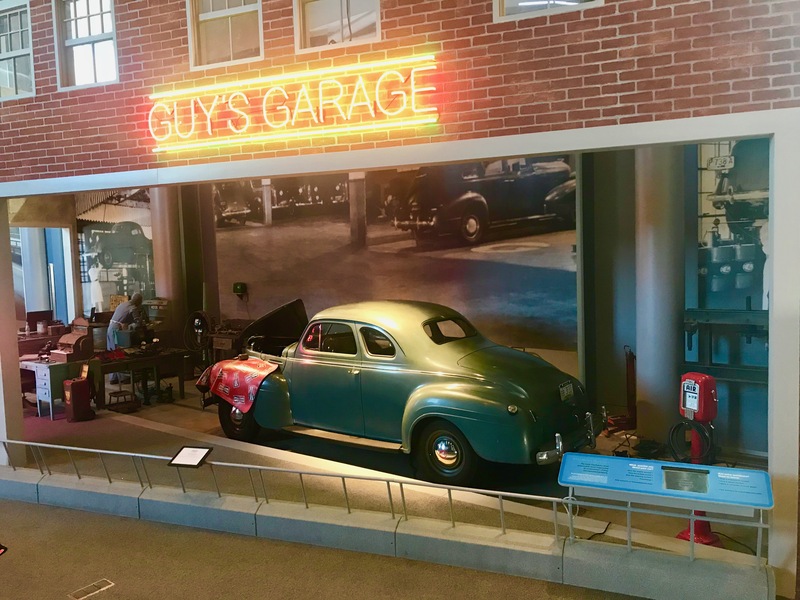 There are several exhibits, including “Guy’s Garage” above. A cool example of a late 1930’s to early 1940’s mechanic’s shop. The view looking down from up in the grandstands. Camping season is almost upon us. 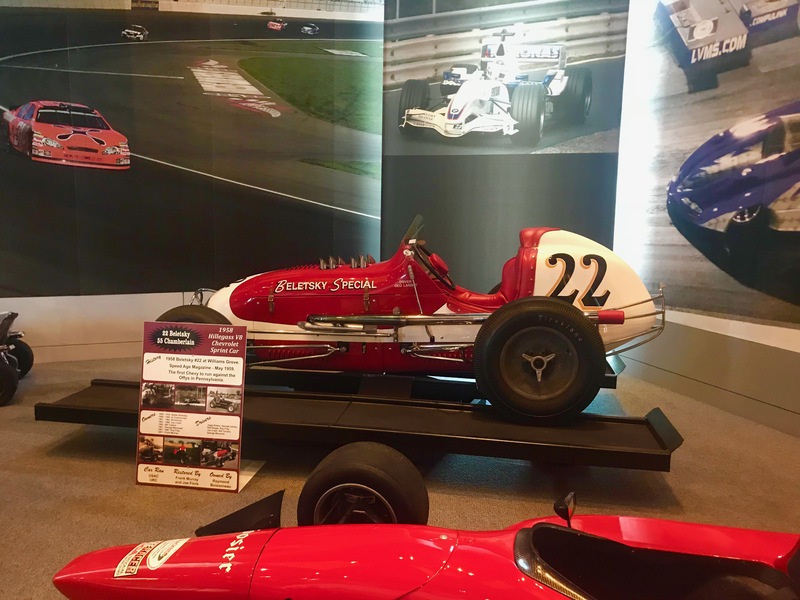 This 1958 Hillegass V8 Chevrolet sprint car was an early, if not the first, Chevrolet to run against the Offys in Pennsylvania. 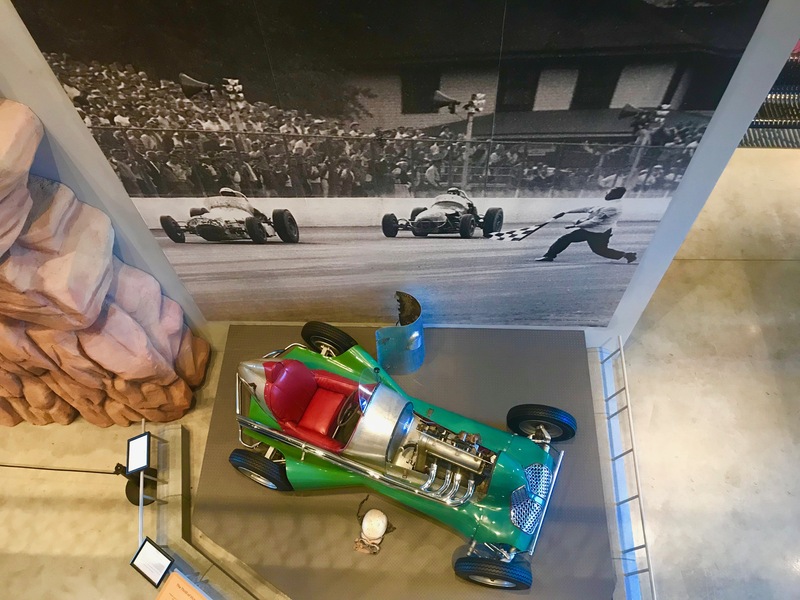 The #22 ran at Williams Grove in 1958. 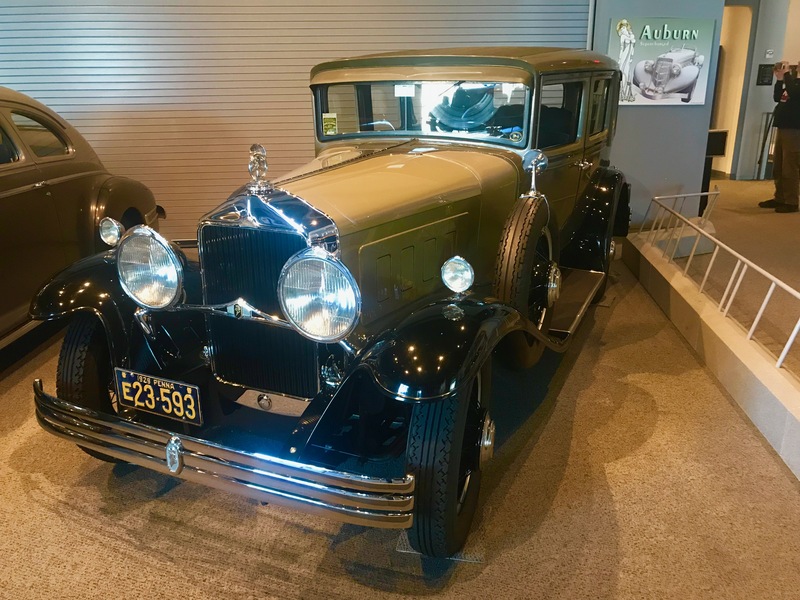 1929 Willys-Knight, Model 66B. 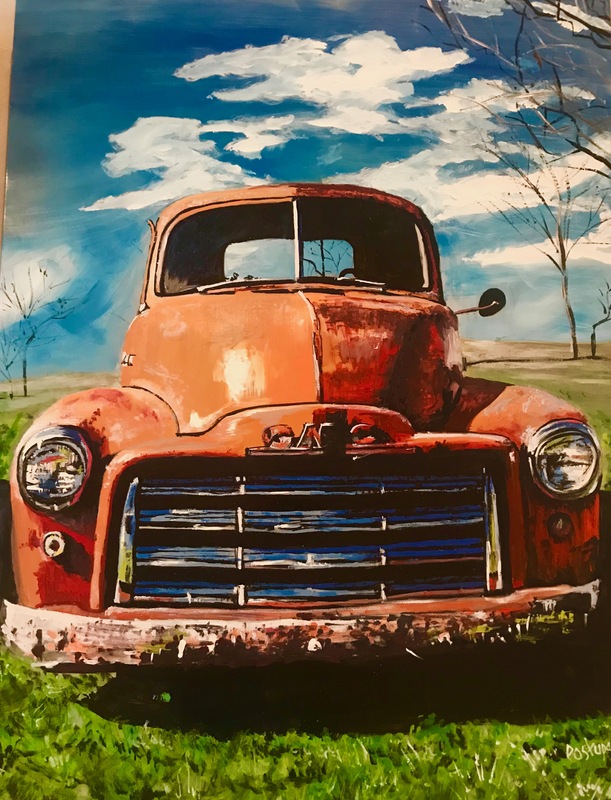 Powered by a 255 cu in straight six, coupled to a three speed manual transmission. 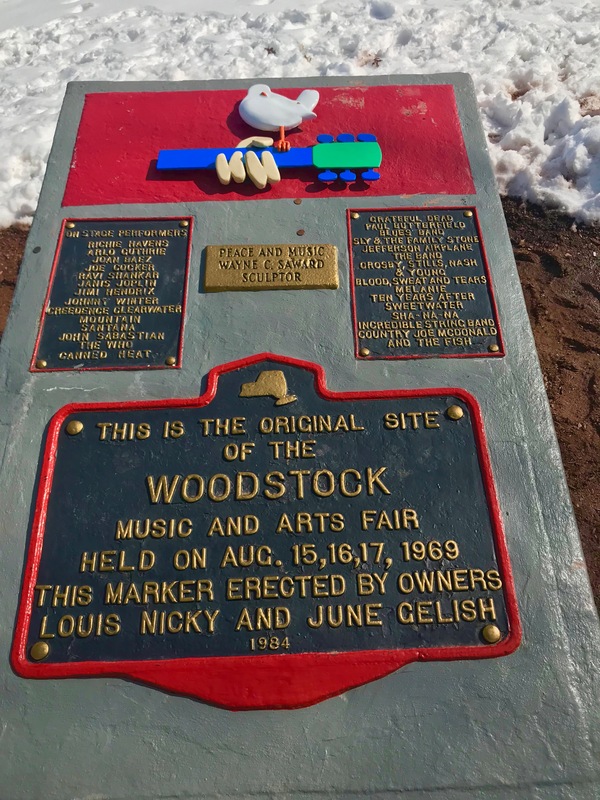 The Curator and I took a trip over to Woodstock between chasing hockey pucks. The museum at the Bethel Woods Center for the Arts was closed on the day we arrived, but that did not keep us from searching out historical markers, and the like. 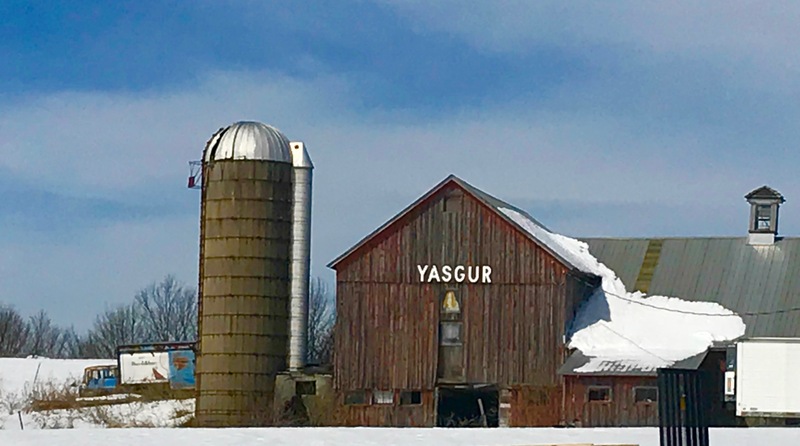 We found the Yasgur family home. 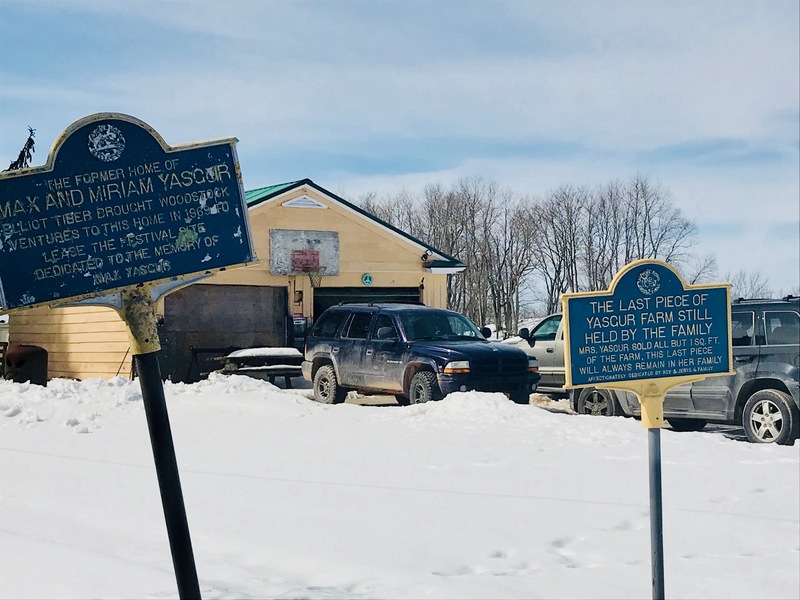 Max Yasgur, a local dairy farmer, leased out one of his fields for the concert. He received plenty of threats for doing so, including calls to “burn him out” and cries to boycott his milk. 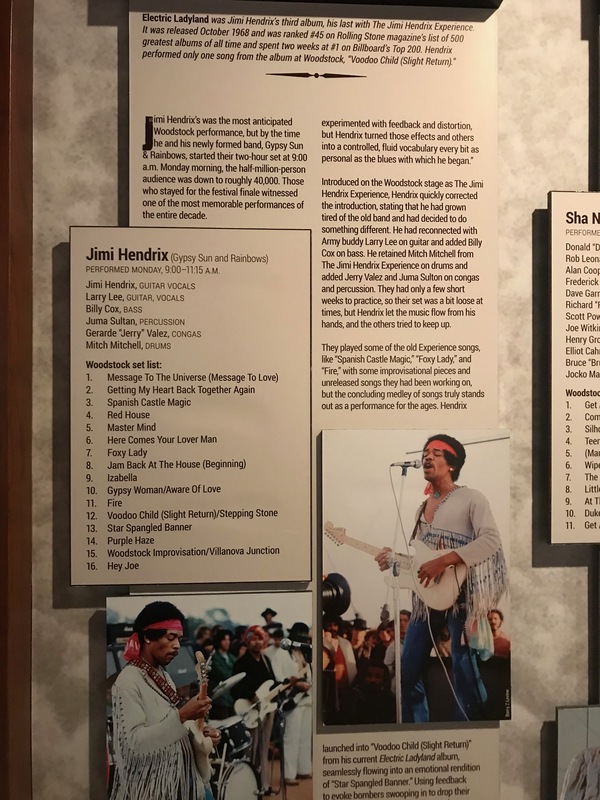 Yasgur held to his principles, scolding neighbors for charging concert goers for water. 32 musical acts performed in front of over 400,000 people from August 15-18, 1969. 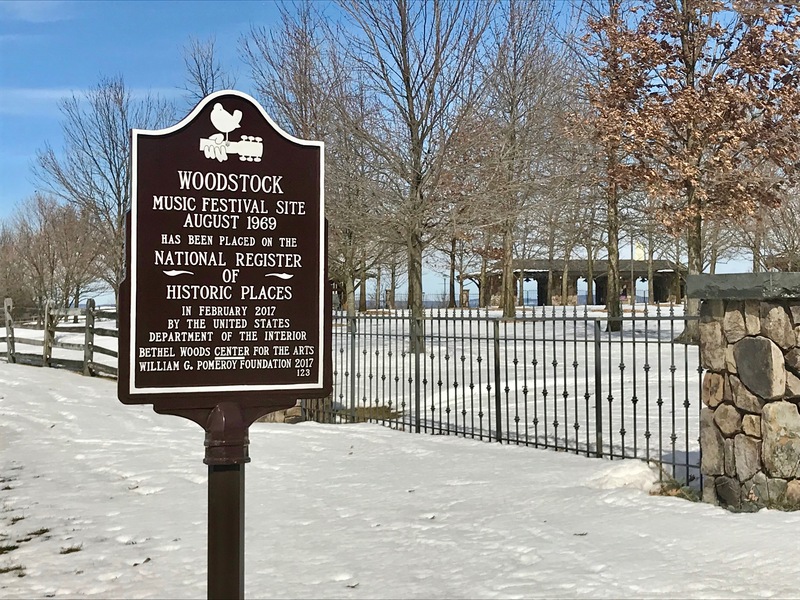 Organizers of the festival told Bethel authorities that they expected 50,000 to show up. The stage was down in the lower left of the above photo, and the entire hillside was filled with spectators. 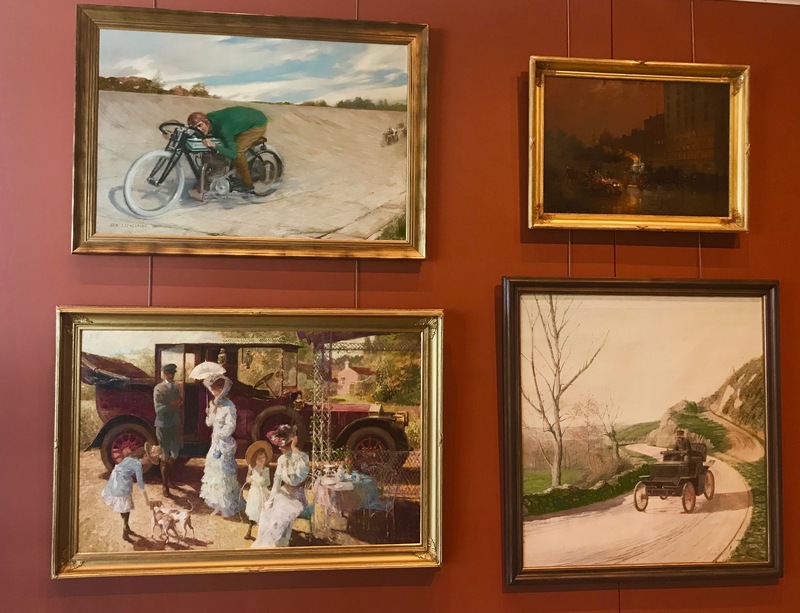 The museum and art center seem to be first rate, although it was a cursory glance. 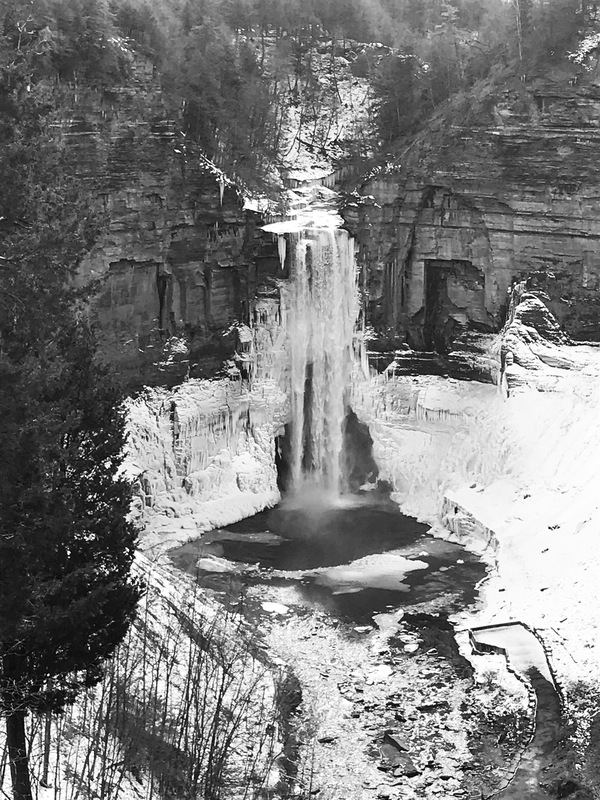 Even though that was closed, the trip was still a fun drive through the Catskills and music history. 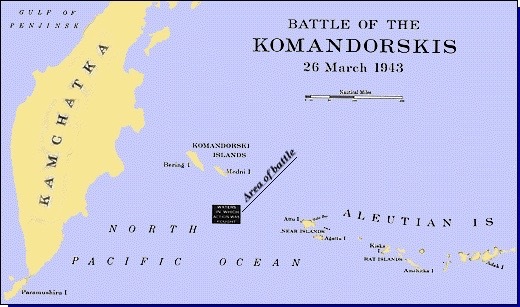 Note: The battle took place west of the international date line. Official Navy times are Hawaii/Aleutian time zone. The Americans had been bombing the Japanese garrisons on Attu and Kiska endlessly, in spite of the brutal Aleutian weather, since the Japanese landings in June of ’42. Invasion of these islands were imminent. The Japanese were finding it more difficult every passing month to resupply their garrisons. They were desperate to get supplies and equipment in. The Americans were just as desperate to keep those supply lines cut. Enter Admiral “Soc” McMorris on the ancient (1918) light cruiser Richmond. 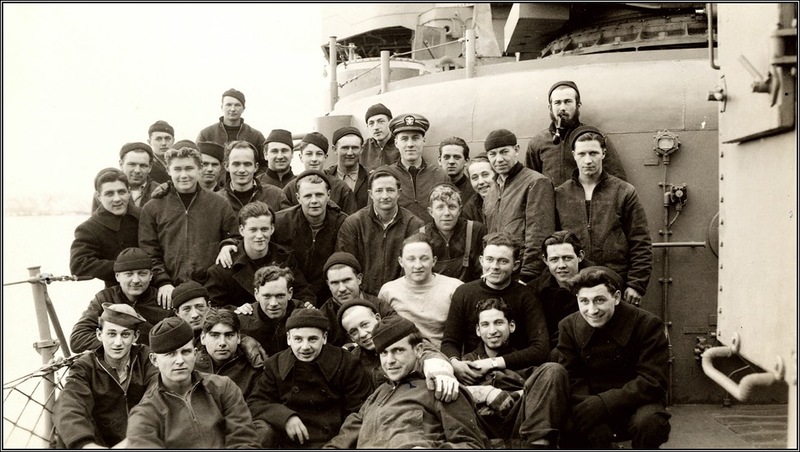 Out on patrol, 200 miles west of Attu, and 100 miles south of the Russian Komandorski Islands, McMorris had four destroyers with him: the Bailey, Dale, Coghlan, and Monaghan. Also in the task group, was the recent arrival, the heavy cruiser Salt Lake City. Known throughout the USN as the “Swayback Maru”, the Salt Lake City had been launched in 1929. At 0730, radar showed 3-5 targets at approximately 21,000 yards. It appeared to be a group of lightly screened transports. “… a Roman holiday was in prospect”, McMorris would write later. At 0824, the radar brought the number of total targets to ten. Within minutes, the tops of heavy cruisers appeared over the horizon. It was Japan’s entire Northern fleet. Along with at least two transport ships looking to resupply the island of Attu, were two heavy cruisers, two light cruisers and four destroyers. The odds had flipped. The Americans had fewer ships, and what they had was slower and outgunned. Since the Salt Lake City had the most fire power, it drew the most attention. By “chasing salvos”, and accurate fire, the American task force more than held its own. Rudder damage suddenly limited the heavy cruiser to ten degree course changes. The Salt Lake City took two hits: one midship; one hitting the seaplane in its catapult. Another hit flooded the forward compartments. Water in the fuel oil lines killed the boilers. The Salt Lake City was dead in the water. The smoke screen put up by the destroyers had concealed the severity of the damage to the Japanese, but now, it was just a matter of time. At this point, three of the destroyers charged the Japanese ships for a torpedo run, the fourth destroyer stayed with the wounded heavy cruiser. The charge, led by the Bailey, drew fire away from the Salt Lake City. 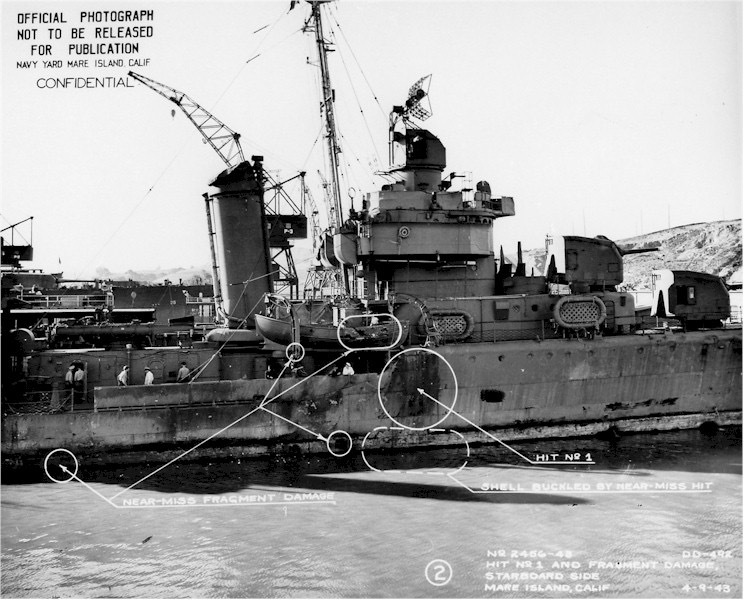 The Bailey was hit three times by 8″ shells, before launching five torpedoes. Engineers on the Salt Lake City managed to get the boilers fired, and the Swayback Maru was moving again. Suddenly, the Japanese started to withdraw. They were low on fuel and ammunition, and Admiral Hosogaya assumed that American bombers would be overhead soon. Hosogaya had no way of knowing that the Americans were in even more dire straits as far as ammo and fuel went, and there were no American bombers rushing to the battle. The Salt Lake City had fired 806 armor-piercing projectiles, and 26 high-capacity shells during the battle. 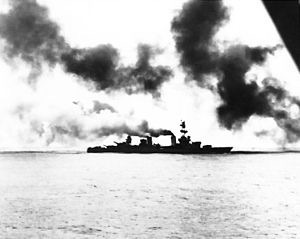 The heavy cruiser was hit by six 8″ shells. The Coghlan was hit once. The Americans suffered 7 dead and 20 wounded. The Japanese had one heavy cruiser moderately damaged and one heavy cruiser with light damage. 14 Japanese were killed and 26 wounded. The battle, in many ways, was considered a draw. Although, the Americans kept the Japanese from resupplying their garrisons, and the Japanese would not attempt again to resupply by surface ship. For the remainder of their Aleutian occupation, the Japanese would resupply by submarine only.